Originally published on Partners In Health’s website. You’ve worked on many TB projects throughout your career. How significant is this one? 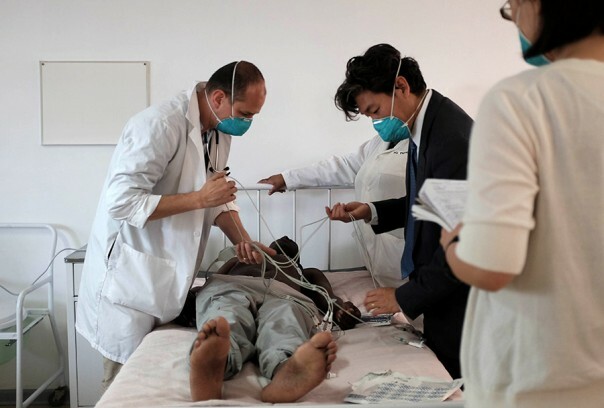 Bedaquiline and delamanid are the first new TB drugs in 40 years. There hasn’t been any real TB drug development for a very long time. And it’s really only because of drug-resistant tuberculosis and our old drugs not working that there has been more research. So this is exciting for everybody who works in TB. These drugs look really effective and could potentially change treatment for millions of people per year. Then there’s the scope of it. Certainly, PIH has never done anything like this before. We’re trying to enroll a lot of patients on treatment with these drugs—patients who are very difficult to treat because they’re infected with highly-resistant strains. They can’t be treated in any other way. There’s a really strong research component, too. We’re partnering with MSF and IRD for the first time. So there’s a lot of very exciting aspects to this project. A good example is HIV. It’s really hard to do a clinical trial of a multidrug regimen if the drugs are made by different companies that may not want to cooperate with each other. With Hepatitis C now, there’s some of that going on. So we’re stepping in at a stage of development where there are inherent difficulties. This is where we’re testing completely novel regimens—new combinations of drugs, much shorter regimens. In the standard WHO regimen, you’re taking five or six drugs that include an intramuscular injection for eight months. Nobody wants to get an injection every day for eight months, and it has some nasty side effects. So that gets stopped after eight months, and you take the rest of the drugs for another 12 months. The rest of the drugs are mostly old and have a lot of nasty side effects of their own. So it’s a very difficult regimen for patients to follow. What is the greatest challenge you’ve come up against in Lesotho? Honestly, the greatest challenge so far has been getting the new drugs. The project started April 1, but we didn’t actually have any drugs in Lesotho until October. And we only have one of them—bedaquiline. We still don’t have delamanid. But we’re closer now, and we’re going to start shipping that, too. I think it’s been very challenging for everybody—from the manufacturer who has to scale up production, to the distributor, the Global Drug Facility. It’s a new drug, and they’re getting orders from all over the place. Yes, we have drugs in almost all PIH sites. We started treating patients in four out of six countries—Lesotho, North Korea, Kazakhstan, and Peru—and are close to starting in the other two. And we’ve had some really good discussions with Ministries of Health in these countries. We’d like to have data about patients improving clinically, and certainly any data on unexpected side effects that haven’t been found in previous trials.